I have heard and seen Sylvanian Families toys a lot but I have not bought or owned one before. I always thought that perhaps my girls are too young for them as they come with a lot of little pieces so I thought to wait a little longer for when they are older. 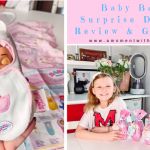 I personally think they are gorgeous toys, so I was looking forward to discovering them with my girls. 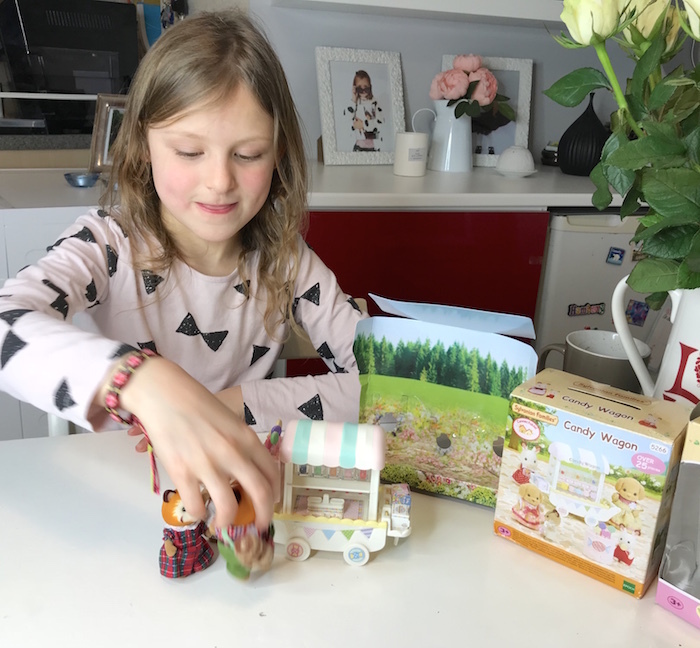 My eldest daughter, Bella, who is now 7 asked for a Sylvanian Families toy recently so it was perfect timing when we got introduced to the brand with a couple of toys from their latest range. I also have a GIVEAWAY of the same toys we are reviewing for one lucky winner. Full details of the giveaway can be found at the bottom of this post. For those of you that haven’t heard of Sylvanian Families before, it was first created in 1985. It is a unique and adorable range of distinctive animal characters that live, work and play in the idyllic land of Sylvania. It originated in Japan and made the journey to the UK in 1987. It became an iconic toy of the ‘80s and received the UK Toy of the Year award for three years running. 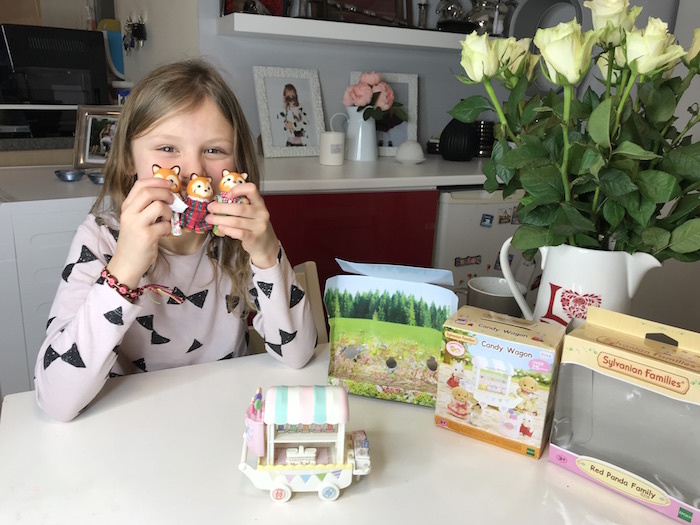 Sold in over 50 countries, Sylvanian Families is a global brand, with themed restaurants and a dedicated theme park in Japan. To date, more than 100 million Sylvanian Families figures have been sold worldwide. Sylvanian Families toys, aimed at children aged 4-10 years, have their own names, birthdays and even personalities. They live in stylish houses, surrounded by luscious greenery, woodland, a meadow and a river – making up the natural world of Sylvania. 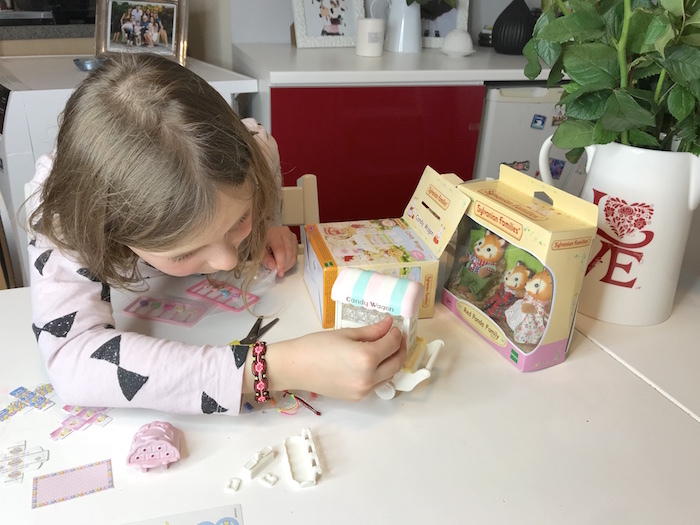 Many Sylvanian products also connect together so that you can grow your Sylvanian Village and create your own unique Sylvanian World as your collection expands. This set comes with three pieces – a father, mother and daughter. They are really cute and there is so much attention to detail. Their outfits are made of fabric clothing and are removable. Apparently, the dad called Geoff is a famous botanist and spends his days in the forest. He likes discovering new plants and flowers. He brings his wife home a bouquet of flowers every day. He is dressed in green trousers which are held up against elasticated braces. He has a lovely red checker-board shirt on. Katie, the daughter, is one of the gymnasts in Sylvanian village. She likes jumping around and staying active. She spends her days swinging on bars, balancing on beams and doing cartwheels. She is in her favourite red tartan dress with white lace collar. Their hips, shoulders and neck can be moved which is great for playing. Since the moment Bella opened this box, she was so in love with these little red pandas. They are so cute! She really likes playing with them as they get her imagination rolling. It costs about £13.60 and you can get it from different retailers such as Amazon. OMG, this toy is just too cute! It comes with so many little pieces to recreate the perfect candy wagon. It is so colourful and it has so much attention to detail. It comes with all the necessary instructions for your little ones to set it up. I didn’t help Bella at all. She wanted to do it on her own and she did perfectly well. She enjoyed every single step of the process. It was easy for her to build. You can attach a movable shelf to the front or side and place boxes of candy on it, ready for customers to get their paws on. It has 15 different lollies, deliciously wrapped in a decorative tie tag which they can be popped in one of the three candy boxes. It costs about £9.67 and you can get it from different retailers such as Amazon. I am very impressed with these toys. They are well-made with fine attention to detail. These toys are great for stimulating imaginative role-play in children. My eldest daughter has played for hours with these toys. My youngest daughter has played only with the red panda set as I thought it is better for her as sh is only 3 years old. I thought the candy wagon toy was a little bit too advanced for her because it comes with lots of little cute pieces so I thought she might lose these, so she is only allowed to play with the red panda set. 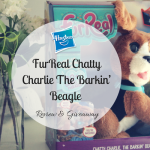 We really love these toys and we can highly recommend them to family and friends. Now onto the giveaway. 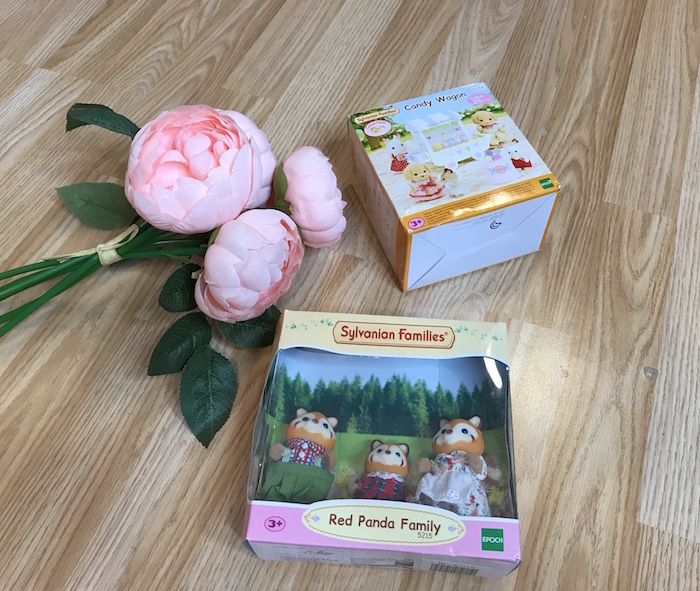 I am running a giveaway so that one of you can Win A Red Panda Set & A Candy Wagon from Sylvanian Families. In order to have a chance of winning, you just need to enter the giveaway below. Good luck! This Giveaway starts on Wednesday 14th March 2018 at midnight. 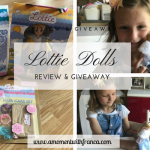 This Giveaway closes on Sunday 4th April 2018 at midnight. 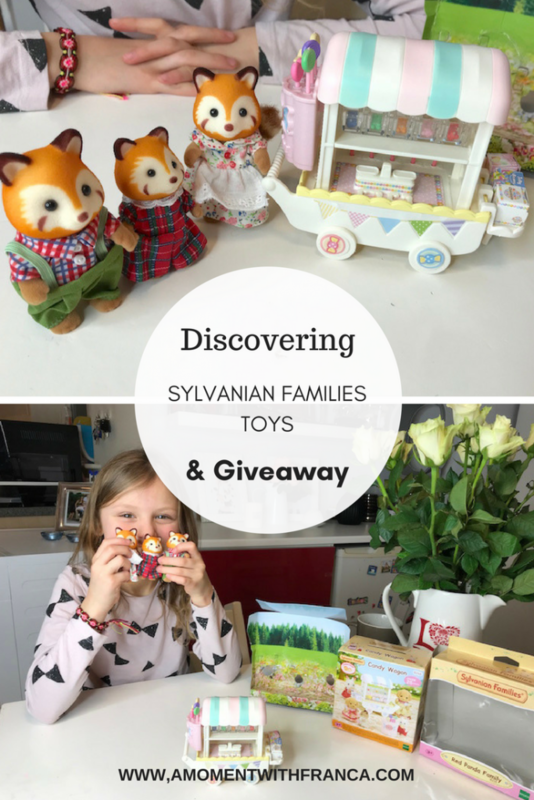 Have you heard of Sylvanian Families before? Do you own one? What do you think of the family set and the candy wagon? *Disclosure: We received a family set of red pandas as well as a candy wagon for the purpose of this review. However, all thoughts and opinions are my own. It contains affiliate links. Yes I have heard of the Sylvanian Families as I had them when I was growing up and now my girls collect them too! The family set and the candy wagon look lovely and I am sure my daughter’s would love to add them to their collection! Yes I’ve heard of them, they’ve been around for years. I don’t have any children but would love to win this prize to donate to charity, to go to Romania. Yes I have heard of them. I was never allowed them when I was a kid my mum always said they was too expensive. My daughter has a couple of the houses, shop & campervan she loves them. We used to have Sylvanian Families when I was younger. I’m starting to build my daughters collection. Have so many good memories from my childhood! 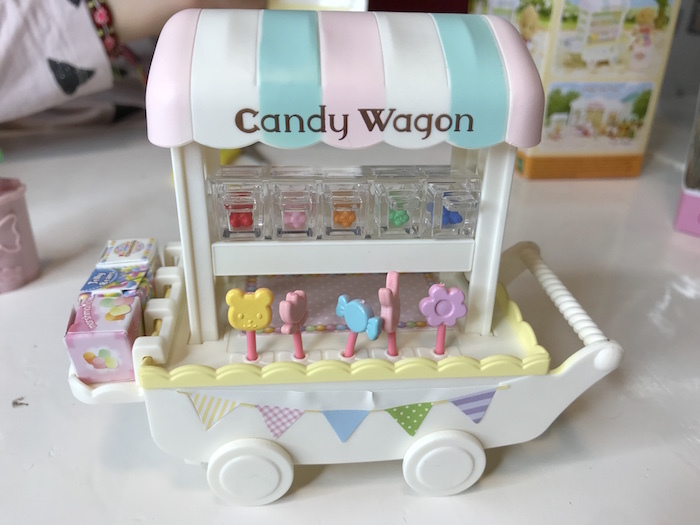 yes have heard of them, love the Candy Wagon so cute, a great start to collecting them all! Yes, I have heard of Sylvanian Families before but do not own one. I think the family set and the candy wagon is lovely. I spent a fortune on Sylvanian families for my girls at Christmas, but they don’t have this set. Yes, we used to have quite a bit, mansion, barge, lock keepers cottage, treehouse & horse drawn caravan. Candy wagon looks great! I never had them but I always wanTed them as a child. 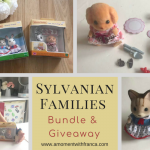 I remember wanting the Sylvanian Families as a child, and they’re still has appealing to me now! Yes I have heard of them before as I had them when I was younger. Now I would love to get some for my niece as I think they’re adorable and she loves things like this! Ye,s I’ve heard of Sylvanian families before. I used to have them as a child! I have definitely heard of the Sylvanian Families but yet to purchase anything. I’m sure she would adore this set. 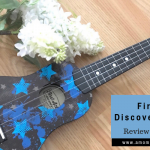 Don’t own anything from this range yet – but what a gorgeous prize – my daughter would love it! 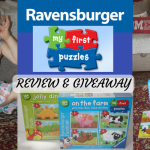 We love them, my daughter was a huge fan, and i would love to win for our grandaughter many thanks…. MY daughter loves SF, she would think this set was amazing!! my daughter loved SF when she was little. We passed all of it to her cousin when she out-grew them. such a cute set. 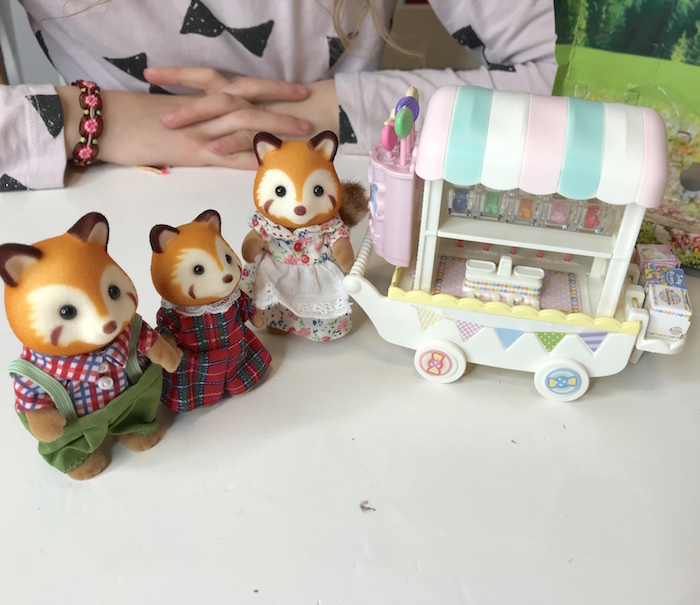 Always wanted sylvanian families when i was little – would love to get my daughter some of their sets. Heard of them but never owned any. They are cute. I have loved Sylvanian Families since I was a child. Now I love them for my two girls. My daughter would love to add these to her collection. Adorable! I loved them as a child and had loads of families. My mum saved them all and my children have loved rediscovering them. My daughter is building her own collection and she would love the candy cart, it looks lovely. I’ve heard of Sylvanian Family from the telly ads years ago. I had so many Sylvanian Families as a child. They’re timeless and such a great toy! Love the red pandas! The children have had Sylvannian figures and they like them because they are small and can be carried in little hands and pockets. This set is a particularly nice one. My daughters were given some Sylvanian Family sets for Christmas and they are now top of my youngest’s wishlist for her birthday in May. They have the Treehouse and nursery and I have been impressed with how sturdy and well out together the sets are. The candy wagon looks to have lots of lovely details and they would love another family to join their rabbits. Yes my daughter collects them she has the nursery, cottage, school and seaside cafe. I always wanted Sylvanian Families when I was little but never had any. I think my son would enjoy playing them with me! 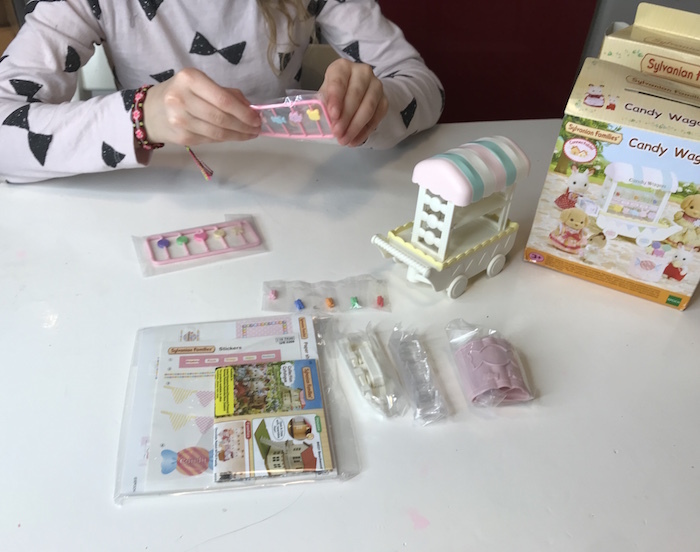 I adore the Sylvanian Families range of toys and love the sweet little accessories that come with the candy wagon. They are such a classic toy that will never date and i remember playing with them as a child. 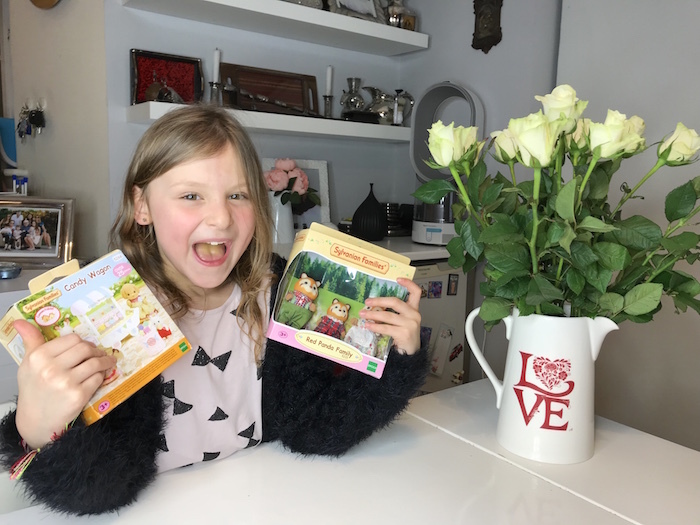 Both my kids love Sylvanian Families! They offer such creative, imaginative play. Haven’t seen this set before. It looks lots of fun. I have seen them in the toy shops but never really looked at them. My youngest loves role play so i think she would enjoy them.